PT Pos Logistik Indonesia - POSLOG or referred to as "POS Logistics" is a rapid growing logistic and supply chain company in Indonesia. POS Logistics running business in the field of transportation and warehousing services, delivery of cargo, and the regulated agent or dealer inspection. PT Pos Logistik Indonesia is a key subsidiary of PT Pos Indonesia (Persero) or POS Indonesia Group, the national postal company of Indonesia wholly-owned by the Indonesian Government. PT Pos Logistik Indonesia started operations in 2004 as a business project of PT Pos Indonesia (Persero). Later in 2007, the business project has developed into strategic business unit (SBU). Since 2012 PT Pos Logistik Indonesia has officially operated as a separate business entity from PT Pos Indonesia (Persero). 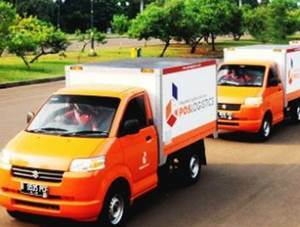 Headquartered in Jakarta, POS Logistics now has 14 office networks and 37 warehouse spread across Indonesia. In 2014, PT Pos Logistik Indonesia succeeded in posting overall improvement in its performance. POS Logistic successfully closed 2014 with an 13.31% increase in total logistic revenue and 61.12% in total net profit. The Company booked total logistic revenue of Rp 202.42 billion in 2014. The Company's total net profit in 2014 amounted to Rp 3.69 billion as compared with Rp2.29 billion in 2013, according to PT Pos Indonesia (Persero) Annual Report 2014 as cited by JobsCDC.com. Minimum age of 24 years old. Minimum Diploma Degree (D3) in Accounting with GPA min 3.00. Minimum 1 year of experience in the field of AR Accounting. Minimum Bachelor Degree (S1) majoring in Accounting, Finance, Tax from a leading university with GPA min 3.00. Minimum 2 years of experience in the related field or experience in auditor practice. Proven create and analyzing financial statement regularly. Possess certification in Brevet A, B and C will be highly prioritized. Strong knowledge about IFRS reporting. Strong attention to detail, initiative and customer driven. Possess excellent communication skill in English, both oral and written. Minimum Bachelor Degree (S1) from a reputable university. Minimum 8 years of experience in Accounting and Tax. Possess certification in Brevet A and B will be highly prioritized. Operating knowledge of Accounting Software or ERP System. Strong attention to detail and able to work under pressure. A team player who is self-motivated. Strong communication skill and able to interact with all levels. JobsCDC.com now available on android device. Download now on Google Play here. Please be aware of recruitment fraud. The entire stage of this selection process is free of charge. PT Pos Logistik Indonesia - Officer, Supervisor, Manager Pos Indonesia Group July 2016 will never ask for fees or upfront payments for any purposes during the recruitment process such as transportation and accommodation.